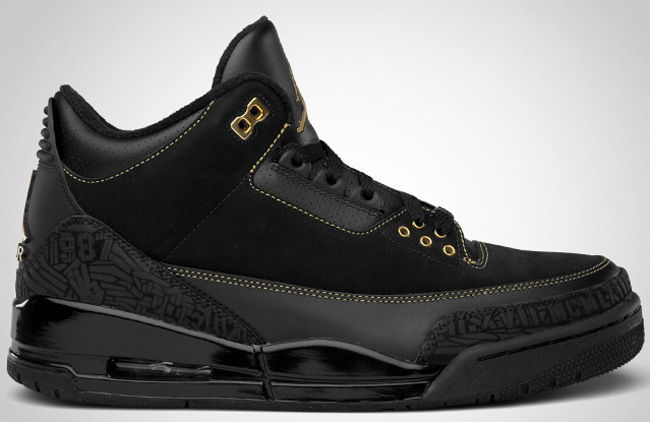 In 2011 Jordan Brand celebrated Black History month with the classic Air Jordan 3. Limited to 3,000 pairs, this coveted colorway is sought out by many. Sporting a black suede and leather upper, gold finishes throughout add flavor to the look. To help commemorate the occasion, festive print in place of the elephant print grace the sneaker's appearance.